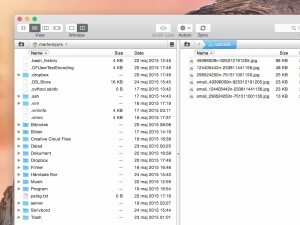 Is importing DVDs to your Mac illegal? I have often found it necessary to import DVDs containing non-copyrighted movies, which is why I chose to publish this article. Importing copyrighted films from DVD discs might be illegal, but that shouldn’t stop the people that need to do this for good purposes. 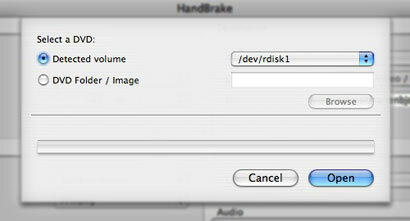 When I import (also known as “rip”) DVDs to my Mac, I use a nice application called “HandBrake”. It is a free application that works really well. You can download it by visiting its home page or by clicking here(direct download). All right, let’s get started! First, insert the DVD into your computer. 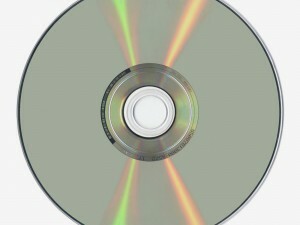 It is likely that the application “DVD Player” will start. If so happens, just quit it. When you have done that, open HandBrake. The first thing that will happen is that Handbrake will ask you to locate the DVD. The disc is most likely to be the “detected volume” so just click the “open” button. HandBrake will now start to read the DVD disc and analyze its contents. When that is done, you will be able to choose some preferences for your import. The first part of the window allows you to choose what part of the DVD you wish to import. DVDs has “titles” and “chapters”. A few of the titles are small movies used in the DVD menus so just choose the title that seems to have the appropriate length. Then choose which chapters to import. If you want to import the whole title, just choose the first chapter to the last. The next thing to modify is some settings for the video encoding. You don’t really have to change the framerate or encoder, but when choosing the quality of your movie you might want to think twice. 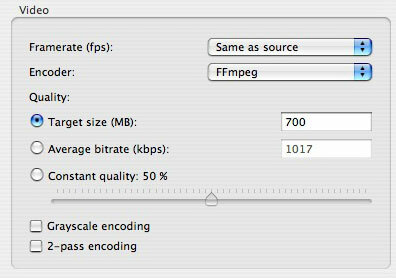 You can choose “target size”, “average bitrate” or “constant quality”. “Target size” means that you tell HandBrake how big you want the imported movie to be, which is quite convenient. 700 MB is often good for a 2-hour movie. “The average bitrate” option is a bit tricky. It means that you tell HandBrake how many KiloBytes per second the movie will be on average. I never go for this option since it is quite tricky to calculate a good value. The final option lets you choose a “constant quality” for your import. You can choose how many percent of the original DVD’s quality you want the imported movie to be. If you have lots of space left on your hard drive, 100% will be fine. The rest of the import settings you can ignore. Instead, let’s move on to another part of the settings window. First, choose which file format you want your movie to be saved as. Personally, I like the “MP4” format. 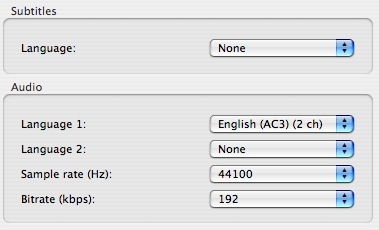 The codecs isn’t really a big deal, but I prefer the second option, “AVC/H.264 Video / AAC Audio”. Finally, choose where you want to save your new movie file. Click the “Browse” button and find a place for your movie. Also, choose a name for your file. Your DVD is almost imported. Now you just have to choose if you want to import any DVD subtitles and what language you want the audio to be in. The sample rate and the bitrate is usually fine, but you can increase the bitrate to “192” (or whatever you like) if you want the audio to be a bit better. When this is done, just press the “Rip” button and the DVD import will begin. Good luck! 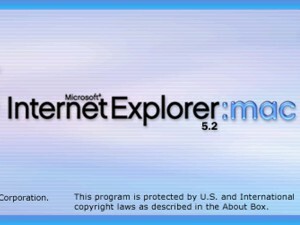 Many Mac users instinctively try to download Internet Explorer as soon as their new Mac arrives. This is not always such a great idea.